With Improving Access to Psychological Therapy (IAPT) services expanding and developing their workforce in line with objectives set out in the Mental Health Five Year Forward View it is an exciting time to be a Psychological Wellbeing Practitioner (PWP). The role is an integral part of IAPT services and has evolved since the programme began in 2008. Career opportunities are developing, the PWP role is becoming established and recognised, and is now a popular career path for many. Heather Stonebank explains more. My IAPT journey began in 2008 when I started training as a PWP; ever since I have been extremely passionate and committed to the PWP role and motivated by its impact and ability to improve the lives of people experiencing anxiety and depression. The PWP role sits within step two of the mental health stepped care model – providing low intensity cognitive behavioural-based interventions for people experiencing mild to moderate anxiety and/or depression. The aim of stepped care is to provide the least intrusive and most appropriate level of care to meet the needs of the person. The PWP workforce provides short-term, evidence-based treatments in line with NICE guidance to help people manage their symptoms. As PWPs, we work with people to equip them with the tools and techniques they need to manage anxiety and depression effectively and work towards their goals. Our aim is to help people make positive changes to improve their wellbeing and quality of life. The PWP role is fast-paced, varied and constantly evolving with the evidence base and guidance. IAPT services around the country strive to meet the needs of people who need to access services. Therefore, PWPs offer a wide range of treatments, including telephone and online treatment, computerised cognitive behavioural therapy (CBT) programmes, psycho-educational groups, courses, workshops and one-to-one work. Adapting what we offer to make our treatments accessible is a critical characteristic of IAPT services. The PWP role is integral to IAPT services. As a PWP, treating a large majority of people who access the service is incredibly rewarding. I have seen first-hand the positive impact the treatments can have on someone’s life. From supporting a patient to overcome panic attacks and being able to visit their local supermarket to helping a patient understand and manage depression to achieve their goal of socialising with friends again – it really can make such a difference. It is a privilege to work alongside a person, be part of their journey to help them manage anxiety and depression. For me, this is why I am an advocate for the role. There is a wide range of career opportunities open to PWPs, which start from developing special interests within areas such as older adults, perinatal mental health, Black, Asian and Minority Ethnic (BAME) communities, and supporting people who are managing long-term health conditions. Other career development opportunities range from senior PWPs, lead PWPs, clinical educators and IAPT managers. Some PWPs may also go on to become CBT therapists or embark on a career in clinical psychology. With the role becoming more established and recognised, there are many more exciting doors to open and future career development opportunities. I feel extremely privileged to be a Lead PWP in Sheffield IAPT and Clinical Advisor in Yorkshire and the Humber Clinical Network. I have an insight into national, regional and local topics for IAPT services and the opportunity to contribute at a strategic level and influence change. My contribution from a clinical perspective has been welcomed and valued by colleagues, and I believe this is a fantastic development for the role and its future influence at a strategic level. I am passionate about bringing the workforce together to share best practice, learn from each other and generate innovative ideas, also working in partnership with other services to provide the best quality of care. Yorkshire and the Humber Regional Senior PWP Network is a great example of this; we are currently working together on how we can support the wellbeing of the workforce and improve access for different patient populations. My vision is to continue to develop the role, support the workforce, share best practice and provide clinical leadership to contribute to developing IAPT services and patient care. I am very much looking forward to continuing on this career path and working alongside other healthcare professionals to provide high quality patient care. Heather Stonebank is Lead Psychological Wellbeing Practitioner for Sheffield Improving Access to Psychological Therapies Service (IAPT), a role in which she provides clinical leadership for the PWP workforce. Heather has 11 years’ experience of working in mental health services within Sheffield Health and Social Care NHS Foundation Trust, working as part of Sheffield’s drug and alcohol team and on an acute mental health ward. In October 2016 she was recruited into the Yorkshire and the Humber Clinical Network, NHS England, on secondment as a Lead PWP Clinical Advisor. She is also co-chair of the British Association for Behavioural and Cognitive Psychotherapies Low Intensity Special Interest Group. 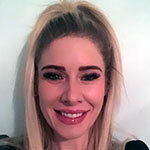 Heather has a keen interest in research to inform guidelines and clinical practice, is a member of the Northern Practice Research Network and has been involved in several research studies which have reached publication. Thanks for this article, it’s really helpful. I’m wondering if you could help me with advise. I’m a graduate member of BPS with background in Psychology, currently studying counselling abroad on a part time basis (this qualification will not be accredited in the UK). I’m full time employed as administrator in Mental Health charity. Also working as bereavement volunteer once a week. I’m very interested in building a future clinical career and becoming a psychotherapist. Would be the best route for me to apply for PWP now? If yes, do you think I have enough experience/qualification? thank you for having taken the time to right this post it’s been very helpful. I am currently working as an activity coordinator in a mental health setting and I wondered if that would count as relevant experience. I also have an undergraduate degree is psychology, is there anything I need to do before applying for a trainee role? Or anything that might help? My pleasure Amber, I am so glad the post has been helpful, sounds like you are gaining some good relevant experience and are able to study at post-graduate level too, this is all good when apply for a PWP trainee post. Any experience you can get is great. My advice would be to look at the website of your local IAPT service too. Happy to chat about the role if this would be helpful. I love helping people and have always wanted a career where I can do just that. I am soon to be a newly qualified nurse and while I absolutely love my role, throughout the course of my training I have found my passion is helping people with their mental well-being rather than just their physical conditions. When I read about PWP and I have never been so sure that this is the right career for me. Would my best route be to apply for a trainee PWP postion? Any advice you can give me would be gratefully received. As a PWP myself, I would not recommend applying for a Trainee PWP post if you are soon to be a qualified nurse. Depending on the type of Nursing degree you have (RMN ideally), some services might accept you as a PWP already (but you’d have to contact them and it depends on their contracting needs etc). If you are soon to be, or already are, a qualified Nurse then you are eligible to apply for Trainee High Intensity CBT Therapist posts, which are also within IAPT services. It is more helpful if you are an RMN, but you can contact your local IAPT service for more information. Thank you, this is really helpful. I’ll be qualified in July as a registered nurse (RN). The experience I have had of mental health has been within my placements and within my home and family life. I’m not sure how confident I’d be to jump straight into a PWP role without some training. I’ll definitely look into what’s around locally to me in IAPT. That is great that you already have experience within placements. You would need to complete a PWP trainee course before working as a PWP, usually you can access the course through an PWP trainee position in your local IAPT service. Lovely to hear from you, congratulations on your nursing qualification. That’s lovely to hear about you wanting to apply for the PWP trainee role. My advice would be to find out your local IAPT services, research their websites and you could contact to ask when trainee positions will next becoming available. You could also set a an alert on NHS jobs to ensure to are notified when positions become available. Have you experience working in mental health? If you want to drop me an email, I am more than happy to have a chat over the phone. Hi Lindsay. Thank you for your interest in the role of Psychological Wellbeing Practitioner. You can find a wide range of information about the profession, including training opportunities and entry requirements, at the Health Careers website. Thanks so much for contacting – good advice from NHS England. I would also set your job alert on NHS jobs for a PWP trainee role. Sounds like you have some good experience. It is worth checking out your local IAPT service and their website. Hope this is helpful. Any other questions just let me know. I have an interview for trainee PWP and it involves role play, presentation and interview. Do you have any tip so how to prepare for PWP interview and types questions they may ask or any help regards to the role play? I am an university student currently doing a gap year. I have no experience in mental health yet I want to pursue a career as a Psychological Wellbeing Practitioner. For someone like me what kind of advice can you give me in order to become a pwp. Thank you for your email, its great to hear you are interested in becoming a PWP. I would recommend trying to get some experience either voluntary or paid in working in mental health. You could look up your local IAPT service and find out what they offer. I have attached some links for information about the role for you to read. I hope these are helpful. Hi I am currently in my last year at university studying drug and alcohol treatment and counselling I am very interested in becoming a wellbeing practitioner and would be very grateful for any information you can give me I have left my email below look forward to your reply. Hi I’m an officer in the Fire service and come across people with mental health concerns daily. I’m also studying a cpcab level 2 counselling skills course with a view to completing level 3 and then the level 4 diploma in therapeutic counselling. I would love to become a Psychological Well-being practitioner and would like to know the best route. Is it to complete the counselling courses or look to something more specific to the role? I would be grateful for any advice. If you would like any more advice – just let me know, more than happy to help. Thank you for your message, yes of course, to become a Psychological Wellbeing Practitioner you would need to apply for a Psychological Wellbeing Practitioner trainee post in your local IAPT service, you can contact your local service and set a reminder on NHS jobs to alert you to any positions becoming available. I have also attached some additional links with information. I hope these are helpful – if you would like anymore information, please let me know. Thank you for your message, I have included useful links with information the PWP role. Hi do you have a email address that i can contact you on for some advice please. I am a psychiatric nurse, currently working in mental health research. I have five years experience in mental health (as a HCA and qualified nurse) mainly on an acute ward and an inpatient dementia unit. In the future, (12-24 months) I would like to move into CBT therapy. Ideally, I would like to do High intensity CBT. Do you have to complete a masters for this? Or is there a route to it through the PWP role? As I’m concerned about the finances involved in doing a masters full time! Thanks for your message. Sounds like you have lots of experience in mental health. If you would like to do High Intensity CBT within an IAPT service my advice would be to apply for high intensity trainee position in your local IAPT service as you would be working and training at the same time and therefore being paid too. Hope this is helpful, if you would like anymore advice, send me an email and happy to arrange a call. Thank you for getting in contact. The BPS offer accreditation for IAPT courses and they offer accreditation for PWPs with a Psychology degree. The BABCP did offer accreditation for PWPs but this has currently been withdrawn and under review. There is a BABCP Low Intensity Special Interest Group which I am involved in to support people delivering Low Intensity CBT. Hope this is helpful, happy to have a conversation if this would be helpful. We can arrange a call. Thanks for that article, very helpful. I’m really interested in changing my career and getting onto the IAPT PWP course, however unlike others who have left comments here I do not have a degree or any other qualifications in psychology (I do have a BA and MA in other areas). I know to be considered for the course I need to do some volunteering or work in mental health (which Im starting to do) but I cannot see any pre-qualifications I can take to help with my application. I cannot afford to take a degree at this time. I have heaps of life experience and mentor in other areas, and am also a nutritionist, which might help. Is there any advice you can give? It seems an impossible dream to get onto one of these courses/jobs unless I have a degree or years of working in mental health. Thanks in advance for any advice you can give. I’m willing to work anywhere in the country and have already looked at all the websites and job openings in NHS portals and charities. Lovely to hear from you and it’s so great to hear your enthusiasm for the role. It doesn’t have to be a degree in psychology, it can be in other areas, it really is just to demonstrate you can work at post-graduate level. That’s great regarding volunteering in mental health as experience is really helpful, so I would recommend continuing with this. Is this helpful? Happy to have a conversation to advise further if you drop me an email. I am in a similar position to Victoria. I currently work as a Head of year in a Secondary School. I have a BA and Teacher status but do not have an MA. Would it make sense to do this? I really am passionate about this area and would like to move into a new career in this area as my pastoral experience has shown this to be an area of deep interest but how do I go about making this change? Would it be wise to stop teaching now and do further study whilst continuing work experience? I am at a bit of a cross roads really. Thanks so much for your message. That’s great and you sound like you have lots of transferable skills. Shall we arrange a chat over the phone to have discussion? If you contact me by email and we can arrange a call. I am currently working for Nottingham Recovery Network, supporting people with drug ad alcohol issues. I am in my last year at Leicester University doing drug and alcohol counselling and treatment. I am interested in the training for a PWP position can you please advise me where to apply or if there is any opportunities in Nottingham my contact number is 07788197064. Thanks for your comment, the best thing to do would be to locate your local IAPT services and enquire when they are next advertising training positions. You could also set a reminder on NHS jobs to alert you when PWP trainee positions become available. Let me know if you need anymore information. Lovely to hear from you, I am pleased you found seeing a PWP helpful and it’s great to hear you have an interest in becoming a PWP, your conditions would absolutely not be a bar to you working as a PWP. Some services/courses may vary slightly, it’s worth contacting your local IAPT service to ask regarding qualification requirements. If you have any other questions, please let me know, happy to help. Thank you for sharing information about your role as a PWP. My brother suffered from depression and took his own life in 2010. Since then I’ve wanted to make a difference in people’s lives. I stumbled upon the PWP career path today and it has sparked my interest in the role. But I don’t have a degree. I have A-Levels in the sciences and I’m 38. Would I need to complete a degree before applying for a role as a PWP or is there another way to train for the role? Also, is there an age limit? I’d appreciate any advice you can give. Thank you for your message and reading the blog. I am sorry to hear about your brother. Sounds like you have you have a passion for helping others. There is no age limit to becoming a PWP. There are different ways to access the PWP training course, a lot of courses do require a degree but there are alternative routes too, I have attached a link with more information about training. I would also contact your local IAPT service and ask who their training provider is and you can contact them directly to ask questions about requirements to access the course. I hope this information is helpful and if you require any further information, please let me know. More than happy to advise. I am studying a Foundation Degree in Mental health Practise. I am keen to train as a PWP. I have personal experience of Depression and Anxiety, so can empathise with people who experience it. Would I need a full honours degree to get onto a training program? Or is there a way of getting onto one with a Foundation degree? Thanks for your message, it’s great you are thinking about the PWP role as a career. I have included some information about the training options available. It might be helpful to contact your local IAPT service to find out who their training provider is to have a discussion about the options available to you. If you need anymore help or advice just let me know. Hello. I have a 2:1 degree in Psychology and went into teaching prior to hopefully becoming Ed Psych but life got in the way and 25 years later am interested PWP specialising in CAMHS. Having recently experienced children suffering terribly I want to support them. I have worked with children aged 5-15.i am finding that much more of my work is counselling and supporting various mental health issues and would like to continue this support as a profession. What is the best way forward please? Thanks for getting in contact, sounds like you have lots of useful and relevant experience and a passion for supporting children with their mental health. There are PWP positions available in CAMHS. My advice would be to keep looking out for these and maybe enquire in your local CAMHS service when they are next advertising for these posts and apply for a trainee PWP position within CAMHS.If you would like anymore help or advice just let me know. Hi. I have worked within the NHS for the past 20 years and within Cancer Services as an MDT Coordinator for the past 10 years. I have an English Literature/Sociology degree. I am keen to train to become a Psychological Wellbeing Practitioner, please can you give me some guidance on how best to achieve this/who to apply to/when to apply/whether it will be funded etc. Most PWP training courses are advertised on the NHS jobs website. My advice is to think seriously about this area of mental health work. A lot of burnout amongst PWPs and more frequently you will be asked to work with patients you are not trained for due to lack of other services. Lovely to hear from you, its great you are considering the PWP role. More than happy to provide some guidance. First of all I would add an alert to NHS jobs to make you aware of PWP trainee positions available in your local area. They should be coming out shortly. Happy to have a conversation if you would like to drop me an email and we can arrange a time to speak. I am 26 and currently work with dementia patients in a care home and I am studying my level 3 RQF in Health and Social Care currently. I was at university but only have a Foundation Degree in Crime Psychology as I had to drop out of the Bsc course. I wondered what would be my best route to becoming a PEP without a full degree as I wouldn’t be able to get financed for a full bachelor’s degree. It might be a good idea to contact your local IAPT service and ask about there training provider to gather some local information about the options available to you. I hope this is helpful and if you would like anymore information do let me know, happy to help. I will be graduating this summer with a Psychology degree at Goldsmiths (UOL), and am really intrigued by the PWP role. I was wondering what the best way to apply for a trainee post would be, online or through a uni. Any tips/advice would be greatly appreciated. Congratulations on graduating, that’s great to hear you are interested in becoming a PWP. One way to apply is through NHS jobs, you can set an alert to let you know when PWP trainee jobs come up in your local area. Happy to have a chat if you want to drop me an email. I am a graduate in psychology and have 2 years experience working within mental health inpatient services. I would definitely like to pursue a career within the PWP role. Do you have any tips/advice for a successful interview? Thanks for your message, that’s great to hear. Sounds like you have relevant experience for the role, with both academic and experience of working in mental health too. Happy to have a discussion regarding any helpful advice, just drop me an email. I am looking into becoming a PWP, but im stuch as to the best route. Should i get an undergrad degree first, or try and get into one of the PWP trainee positions? Any help would be greatly received. Thanks for your message. Great to hear you are looking into becoming a PWP. It’s helpful to have a undergraduate degree or equivalent as the main PWP training courses are at post graduate level. There are some that offer alternative route but the main route is to apply for a PWP trainee position in an IAPT service and complete the postgraduate course in the training year. Hope this is helpful info, please do get in touch if you have any other questions. Wishing you all the best for the future. I came across your blog when doing some research on the clinical advisor role, and it is really nice to see how dedicated and passionate you are about being a PWP! I am currently a senior PWP role in a small but well established service and am really keen to start up some clinical audit/research and find some innovative ways of monitoring and improving our clinical work. I would be really grateful if you could point me in the direction on any information on the clinical advisor role/clinical leadership as a pwp, research/clinical audit, cpd/training opportunities and anything else that you think may be helpful. Thank you for your message, lovely to hear from you and about the fantastic work you are planning. Yes more than happy to point you in the right direction, advise and discuss ideas – lets arrange a chat over the phone and we can have a discussion. If you drop me an email we can arrange a call. Thank you for your message. I hope you are enjoying your final year at University. My advice would be ask IAPT services in your local area where their training provider is located. Usually the training is accessed by being successful in gaining a PWP trainee post within an IAPT service. I do hope this information is helpful. Lovely to hear from you – that’s great you are thinking of applying for the role. Sounds like you have a lot of relevant experience. There is no upper age limit. We encourage people of all ages to apply for the role. I would definitely encourage you to apply, your application would be very welcome. Its nice to read about your clear account of PWP role. I am a PWP myself and would like to find out how can I move into developing special interest areas as you mentioned. Is there specific training available that I can access ? Thank you for reading the blog and the lovely feedback. Yes, there are opportunities to receive training within specialist areas depending where you are and what specialist areas you are interested in. I would be more than happy to discuss over the phone and advise. If you drop me an email and we can arrange a time to have a discussion. Look forward to hearing from you. Hi Heather, what a fantastic blog explaining your role/career path and great for a parent of a soon to be trainee PWP. Thank you so much for your lovely feedback, it is very much appreciated. I am really pleased the blog has been helpful in explaining the PWP role/career path. That’s great news, I do hope your daughter enjoys her new role as PWP trainee. If I can be of anymore help at all, please do drop me an email. I am hoping to become a CBT therapist and a CBT therapist I work with said that I could possibly go through IAPT. If this is the case please could I have a little more information. Thank you for your message, yes that is correct. There are trainee CBT opportunities within IAPT. These posts will be advertised through your local IAPT service when they become available. Keep a look out and you can also set an alert on NHS jobs to notify you when these positions are advertised. Hope this is helpful. Any questions please let me know. I am very interested in this job role, I am currently doing a psychology degree and I am volunteering with people with mental health problems. I was wondering what the career progression was like in this area (not just progressing to become a clinical psychologist) and what training is needed after a degree? Thank you for your message – that’s great to hear you are interested in the PWP role. There is a lot of career progression within the PWP role – from specialist PWP roles, Senior PWPs to Lead PWPs, researchers to clinical educators. There is definitely a career path developing, which is a great development for the role. Also there are roles within IAPT such as team managers or high intensity CBT positions which PWPs go on to. Lots of great opportunities! PWPs can train as supervisors once qualified and have gained some experience, so it is a great role to gain lots of additional skills, transferable skills and CPD. It sounds like you on the right lines with your degree and experience, my advice would be to complete your degree and continue to gain experience in mental health and then you can look into applying for the role. Happy to discuss if you would like any further advice. How can I start training to become PWP? To start training to become a PWP, you can apply for a trainee PWP post in an IAPT service. Keep checking for ‘PWP trainee’ jobs in your area. You could have a look at a job description and personal specification in the meantime to look at the criteria. Hope this is helpful. Wow what an inspiration you are and from my neck of the woods too. I recently qualified with an upper 2:1 in psychology, studying while working full time and am now working on a male psychiatric intensive care unit. I have applied 3 times for a trainee PWP position before I started on the unit but didn’t even get an interview. Is there anything more you can advise or is it just a case of persevering. Thanks Jennie. Hi Heather, you sound like you really enjoy your job which must mean you’re very good at it! How do you encourage people to actively participate in-spite of their mental health symptoms and help them recover? Thank you Abbey – I do really enjoy my job and find it very rewarding. Hi, thanks for writing that inspiring blog post. I hold a first class degree in economics and have recently gone back to work after having 3 children, for a mental health charity as a community development officer. It was only for 8 months or so but I never felt so enthused going to work. I have an A level I psychology. Please advise if it’s possible for me to train as a PWP and the route I could take? Thank you for your message and kind feedback. Sounds like you have relevant skills and experience and it’s lovely to hear you enjoy your role in the mental health charity. To become a PWP, the usual route would be to apply for a PWP trainee post in an IAPT service, where you will work whilst studying one day a week for a Post-Graduate Certificate in Low Intervention Psychological Interventions, which takes one year to complete. If you would like anymore information, happy to discuss further. Hello. I have been a school health nurse for the last 10 years and have in this time developed my 1:1 emotional support therapeutic work using a strength based approach incorporating solution focus therapy and motivational interviewing. My background is Paediatric nursing , mainly Adolescent based . I also recently completed a Public Health post grad diploma, which encorporated a Systemic module, i am keen to focus on wellbeing. Would you be able to advise me of a route I could take to become a PWP? Hi Claire, thank you for your message. It sounds like you have some excellent experience. Great to hear you are exploring the PWP career path. To become a PWP the usual route would be to apply for a PWP trainee post within an IAPT service. You would then complete a Post graduate Certificate in Low Intensity Psychological Interventions alongside working in an IAPT service. Hope this is helpful, if you need anymore information please do let me know happy to have a discussion. I came across your blog by accident and enjoyed reading it. I am working on temporary contracts at the moment in Wakefield and enjoying the fast pace.How are you? I hope you and all the IAPT teams in Sheffield are well. Thanks Charlie, great to hear from you. I am very good thanks. Glad all is good and you are enjoying the role. I was good to read you passionate account of your role as a PWP and it evolution. I wonder if it would be possible for me to talk to you about the career structure for PWP in your service and if you are aware of any good practice examples of career structure nationally for the PWP workforce. we can arrange a time to speak.